It can get uncomfortably hot and stuffy indoors, especially during the summer months around Melbourne Bayside. If you don’t have a reliable air conditioner, or the right type and size of air conditioning system, you’ll wish you did when the temperature begins to rise. There are many brands of air conditioners on the market, but not all perform the same, and that is a problem many people face when looking to buy a new air conditioner – the price can be deceiving and often times people become disappointed, as the air conditioning units they purchase do not meet their expectations. Fortunately, there are Daikin air conditioners available, these are hardy, robust and proven to produce enough cold air to meet people’s expectations, if the right size and type of air conditioning system is installed. That is really where most folks make the mistake of either purchasing an air conditioner that is either too small or too large for their needs. Not to worry, expert Daikin air conditioning installers at Bay Air Electrics can help, they will determine what type and size of air conditioner you need for your home or work. Here at Bay Air Electrics, we know a good air conditioning brand when we see one, that is exactly why our decision to promote and work with Daikin Air Conditioners was made. These are the best for use in residential and light commercial buildings, and we can design and install Split System Air Conditions that will truly meet anyone expectations, even during the summer months. We understand that people need reliable air conditioning that will meet their needs, and we are proud to deliver Daikin technology that is durable, reliable, quieter and more energy-efficient than other air conditioning brands. If you want to save money, and not worry ‘if’ your air conditioner is enough to keep you and your family cool, then you need a Daikin air conditioner. Every one of our technicians are specially trained Daikin air conditioning installers, which is why we are so confident to provide a six-year guarantee on every installation. 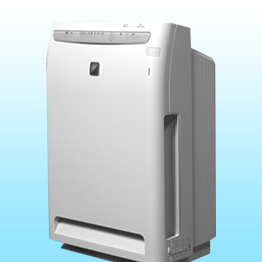 For more information about Daikin air conditioners please contact us here at Bay Air Electrics.